The choreographer Reggie Wilson often finds the ideas for his dances while on a journey. Like an anthropologist, he conducts field research, traveling to places that interest him. Ideas lead to other ideas and accumulate in clusters before he translates them into sensual, structurally complex performances. The Lynden Sculpture Garden and Alverno Presents embark on Movement and Migration, a series of events culminating in the performance of a new site-specific iteration of choreographer Reggie Wilson's acclaimed work Moses(es). The theme, movement and migration, resonates with Wilson's abiding interest in the cultures of Africans in the Americas and the effect that migration has on beliefs. At Lynden, these themes can be tied to the movement of creatures across the landscape and to natural cycles, as well as to the movement of sculptures from around the world to their current home in our collection (where, it could be argued, their meaning as a collectivity supersedes their individual significance). They also enable us to consider the cultural contributions of the African diaspora to America's culture, Milwaukee's migration history, the Exodus story, and the movement of bodies across Lynden's grounds. The original Moses(es) was inspired by Zora Neale Hurston’s Moses, Man of the Mountain (the Moses story told as a Southern folk tale in African-American vernacular) and by Wilson's travels to holy lands such as Israel, Egypt, Turkey and Mali. Moses(es) has been remixed several times since its New York premier at the Brooklyn Academy of Music Next Wave Festival in 2013. For the investigation at Lynden, Wilson and his Fist & Heel Performance Group will continue to ask the questions how do we lead? and why do we follow? Wilson will engage with Lynden's landscape and an intergenerational group of community performers--the Milwaukee County Department on Aging's Jazzy Jewels dance troupe (based at Washington Park Senior Center), the campers in our summer camp, the praise dancers from Metropolitan Missionary Baptist Church (Wilson's church to this day), dance students and recent graduates of the University of Wisconsin-Milwaukee Dance Department, and several local performers-- making this Moses(es) a celebration of space and place. As with Conversations with Sculptures, our project with the Trisha Brown Dance Company last summer, we are creating in-depth programming that will connect diverse audiences with contemporary dance performance, with Wilson's work in particular, and with Lynden as a community resource. This summer's "conversations"--dialogues with the public, from the casual to the highly participatory--will engage audiences of all ages with the project and with Lynden's unique environment. Activities include the performance workshops with community members, a master class with the graduate students in UWM's Dance Department, and a workshop for the K-12 teachers who participate in our Summer Institute. Children aged 6-11 are invited to enroll in our Movement and Migration summer camp; and the general public can participate in a discussion about the work of Zora Neale Hurston under the auspices of the Women's Speaker Series; our Free Family Day Call-and-Response Picnic; and the culminating performance. The exhibition in the gallery during the project, Dan Torop: Frozen Period, also speaks to the issues of migration and movement. Intrigued by the performance? Join us in February for a Postscript event focused on the work of Zora Neale Hurston, author of Moses, Man of the Mountain--one of the original inspirations for Moses(es). Details, resources, questions, and readings will be circulated on Twitter #searchingforzora. At Lynden, birds migrate, and bodies--human and animal--move across the landscape. We will explore migration through site-specific outdoor artmaking, nature activities, and movement. We'll spend time each day working with choreographer and artist-in-residence Reggie Wilson as we prepare to participate in his company's performance on July 18. On July 15 Lynden opens its doors to the community for a Free Family Day during the Reggie Wilson/Fist and Heel Performance Group residency. Families are invited to picnic on the grounds (bring your own or try a food truck). A variety of hands-on art and nature activities will be available, and there will be plenty of time to stroll. To allow the Fist and Heel dancers a break from rehearsals, we have invited some of our community's stellar younger performers, Ton Ko-Thi and the Skai Academy Band, to share their work with you. The evening will conclude with a participatory ring shout around the pond. First practiced in the United States by African slaves, the ring shout has found its way, over time, into a range of musical forms as well as into the call-and-response familiar in African American churches. Milwaukee-born choreographer Reggie Wilson comes home to create a new site-specific iteration of his acclaimed work Moses(es). Originally inspired by Zora Neale Hurston’s Moses, Man of the Mountain (the Moses story told as a Southern folk tale in African-American vernacular), and by his travels to holy lands such as Israel, Egypt, Turkey and Mali, Moses(es) examines the effects that migration has on beliefs and on how we choose to lead and why we follow. Audience members are invited to wear white; the performers will wear red. Frozen Period is an intensive photographic examination of Lynden's landscape framed by a single journal entry written by Meriwether Lewis in 1805 on his westward journey. Intrigued by the "frozen period" between Peg Bradley’s death in 1978 and the opening of the sculpture garden to the public in 2010, Torop made extended seasonal visits to Lynden beginning in the summer of 2013 to investigate the landscape’s history and the passage of seasons, animals, and sculptures across it. The project is both a subjective description based upon a year’s photographic work and an examination of the very act of exploration and observation. We will work with Wilson and many of the individuals mentioned above to collect and develop web resources that provide a context for Wilson's work and explore project themes. We are using the Lynden and Alverno Presents websites, Instagram and Pinterest to accumulate resources, and Twitter and Facebook to direct people to these and other archival resources related to the project and the performance. 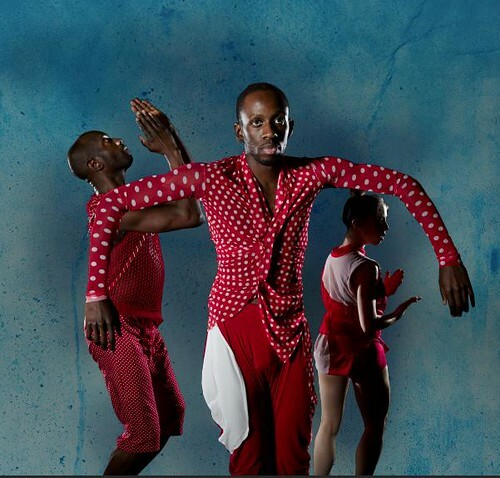 Reggie Wilson’s work has been presented nationally and internationally at venues such as Dance Theater Workshop, Jacob's Pillow Dance Festival, Yerba Buena Center for the Arts (San Francisco), UCLA Live (Los Angeles), Summerstage (NYC), Linkfest and Festival e'Nkundleni (Zimbabwe), Dance Factory (South Africa), Danças na Cidade (Portugal), Festival Kaay Fecc (Senegal), and The Politics of Ecstasy (Berlin, Germany). Wilson is a 2002 BESSIE-New York Dance and Performance Award recipient and a 2002 John Simon Guggenheim Fellow. Wilson was named a 2009 United States Artists Prudential Fellow and is a 2009 recipient of the Herb Alpert Award in Dance. Most recently, Wilson received a 2012 Joyce Foundation Award for Moses(es), and was named a Doris Duke Performing Artist. Reggie Wilson is a Milwaukee native, a graduate of Rufus King High School, and a regular visitor to the city where much of his family continues to reside. 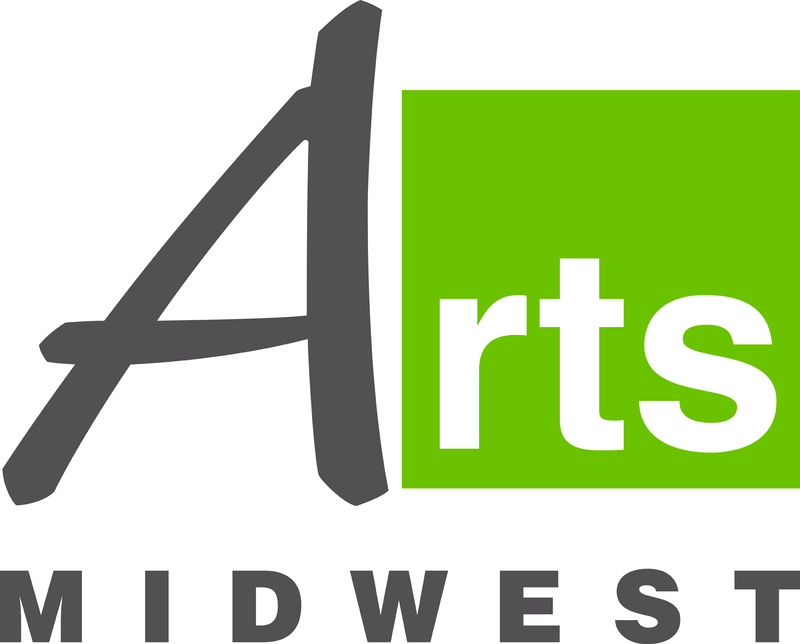 The residency and performance of Reggie Wilson/Fist and Heel Performance Group are supported in part by the Herzfeld Foundation, Arts Midwest, the Milwaukee County Department on Aging, and Social X MKE.